Aldi rated well in a new Retail Feedback Group survey, with 42% of respondents who shop at Aldi saying they plan to shop there more in the next 12 months. This is an increase from 33% in a previous RFG survey. Aldi also ranked highest among stores that customers were likely to recommend, scoring better than Walmart. Regular supermarkets still rank the highest in overall satisfaction, but the ratings varied depending on ages of respondents. Baby Boomers tended to rank regular supermarkets highest. RFG suggested supermarkets could become more competitive by better keeping up with trends such as international foods, allergen-free items, locally sourced products, and natural and organic items. Aldi Ireland is offering primary schools a chance to win 50,000 euros to develop their playing facilities and promote an active and healthy lifestyle. To participate, schools in Ireland can order a poster by emailing [email protected] and providing their school name and address along with eircode. 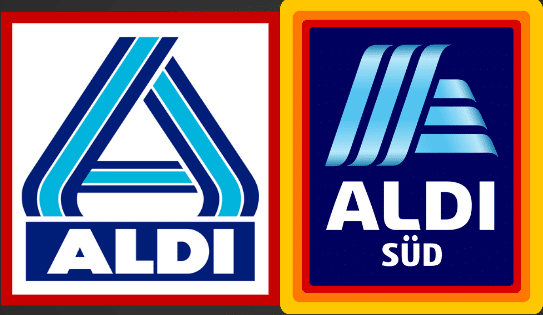 The school will receive an Aldi Play Rugby promotional pack, and when students and their families spend 30 euros at any Aldi store in Ireland, they will receive a sticker they can can take to school to put on the poster. After the poster is filled with stickers, the school returns the completed poster to Aldi to be entered in a chance to win. Two schools in Ireland will win 50,000 euros to improve their playing facilities. In addition, one school in each province will win 2,500 euros worth of training equipment, a training session with Paul O’Connell, new jerseys, and Aldi-branded water bottles. Every school that sends in a completed poster receives and Aldi Play Rubgy kit bag, four rugby balls, a water bottle holder, and six water bottles. Olympic gold medalist Heather Stanning cut the ribbon during a new store opening ceremony at an Aldi in Chippenham, about 90 miles west of London. The Team GB rowing champion also gave free bags of fresh fruit and vegetables to the first 30 customers and donated produce to a local school. Stanning was accompanied by children from Monkton Park Primary School, and after the store opening she spoke at a school assembly on healthy eating and exercise. This is the 11th Aldi store to open in Wiltshire.